The Dragon Duo is back in HD! The original Double Dragon was released in 1987 on the NES, and featured fun beat-em-up arcade gameplay with simple yet colorful graphics. I played the game as a young kid and once I got a SEGA console years later, I played as the duo as they fought alongside the Battletoads. 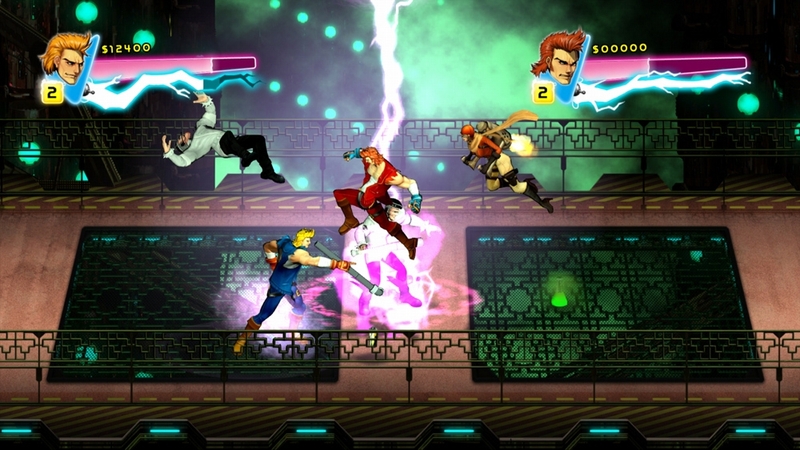 Fast forward to now, Double Dragon Neon retains most of the elements from the original title while offering up a remixed game soundtrack, HD graphics, and many great features that are available on Xbox Live Arcade. 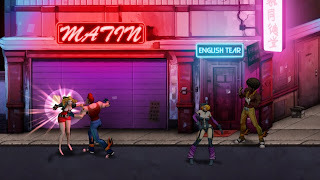 In Neon, you'll once again play as twins Jimmy and Billy as you attempt to rescue Marion from the Black Warriors gang. The game is just as difficult as ever, so you'll want to play with a friend to help ease some of the frustration that the game can bring. New to this title is the introduction of tapes and damage display, allowing you to see how much damage you incflict on enemies, and how much they can do to you. This gives a nice RPG feel to to the title, but the basic health bar does a decent job, although having a damage display helps when taking on the bosses in the game. The music in the game is really well done. The tapes I mentioned above are scattered throughout the levels and help give your characters different special moves and abilities in the game. What's cool about this is that each tape has different tunes that you can listen too, adding a nice new touch to the title. The game's soundtrack is also available as a free download, so be sure to add that to your preferred music playing device. As with the original title, the game can be pretty difficult, although playing in co-op helps but I still found myself dying over and over again. Once you lose all of your lives in a level, its back to the beginning, so utilize the tapes and a co-op partner is key to making it to the end. The visuals in Neon are vibrant and colorful. 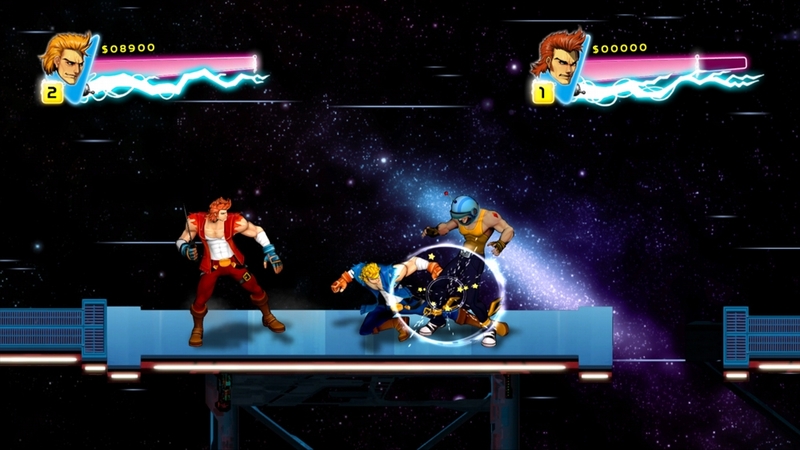 Animations look good too whether you're running, punching, kicking, or using any of the game's available projectiles. Overall the presentation of the game has a nice 80's feel to it, with the music bringing the package together in a pleasing way. Co-op in the game is still really fun to play. Playing solo will garner the classic flashing 'Press Start' icon, hoping that you'll have a friend who is willing to hop in and help you fight. Playing in co-op allows for some unique moves to be performed in combat, and afterwards players can celebrate victory with high-fives, similar to the soldiers in Army of Two. 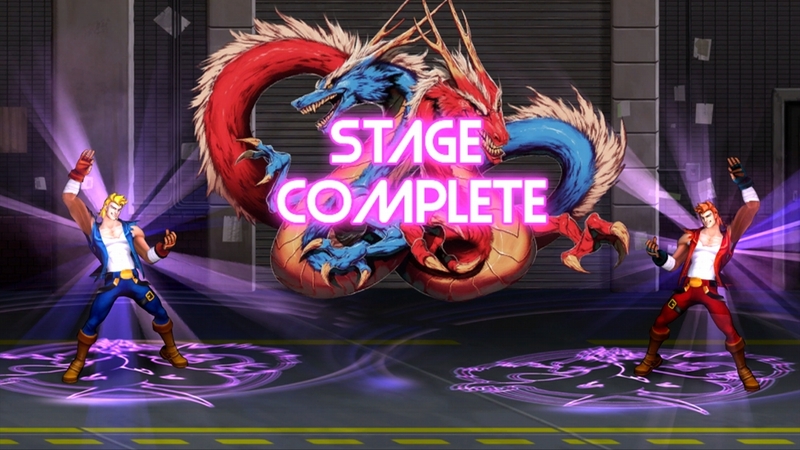 If you've got $10 and want a trip down memory lane with some HD makeover magic, Double Dragon Neon is a nice way to play the classic beat-em-up. It's still a challenging game to play, but bring a friend and relieve the good ol' days of gaming together. 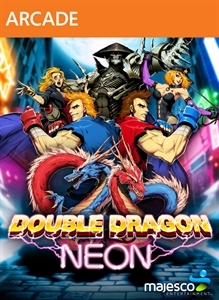 * This review is based on the XBLA version of Double Dragon Neon. A copy of the game was provided for reviewing purposes.